Dubai, 16 October 2018: What better way to prepare for the cooler weather than with a garden makeover? Look no further than Dragon Mart's Outdoor Furniture Market, which is back for another exciting edition from 17 October to 3 November. Located on the ground floor of Dragon Mart 2 and open every day from 10am to 10pm, the Outdoor Furniture Market has special deals and great discounts on a wide range of items including garden furniture, gardening materials, home appliances, home d�cor goods, accessories, sunshade blinds, wooden shutters and more. 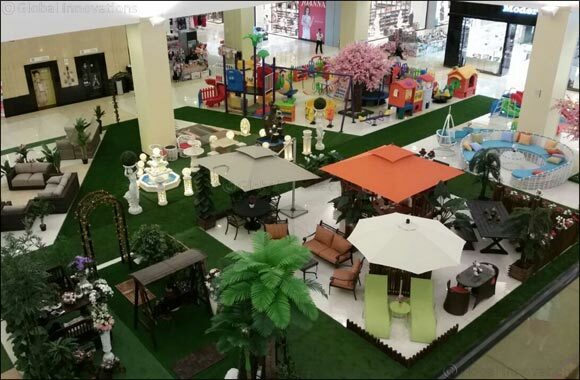 Overhaul your garden or build the best looking lawn with creative and handy fittings and accessories from Dragon Mart's Outdoor Furniture Market.